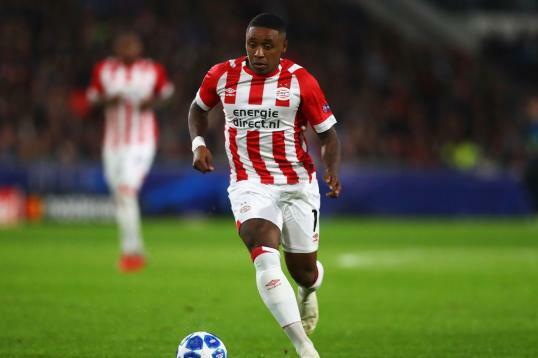 Manchester United have reportedly identified PSV winger Steven Bergwijn as a potential signing, according to The Sun. The Red Devils are interested in a deal to sign the Dutchman, who is believed to be valued at around £25m. The report states that Tottenham Hotspur are providing United with competition for Bergwijn’s signature. The report goes on to claim, the 20-time English champions sent scouts to watch the 21-year-old attacker in PSV’s 2-2 draw with Emmen at the weekend. The North-West giants could also face competition from West Ham United and Bournemouth, while Inter Milan are also thought to be keen on the PSV winger, who scored nine goals and has provided eight assists in 17 games in the Dutch top flight this season. PSV are currently lead the domestic league table and Bergwijn could play a crucial role in their attempt to secure the title.